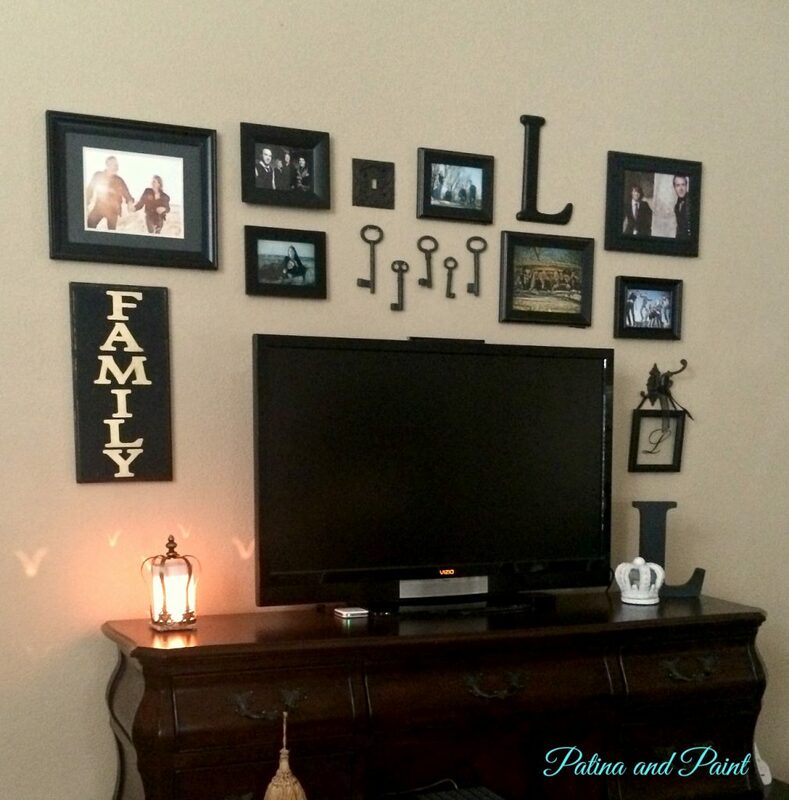 Now that spring is here it’s time to add a some new decor to the castle. 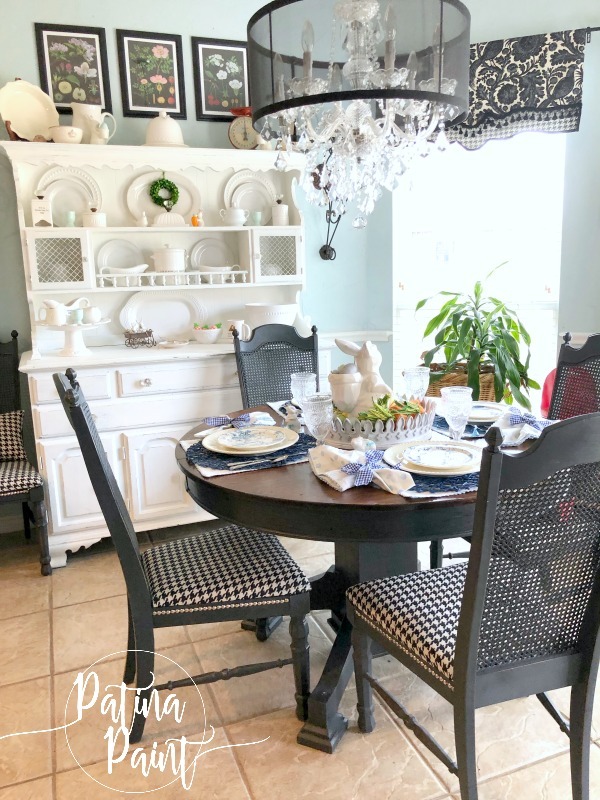 I don’t know why, but I always seem to start doing a little tweaking and rearranging for each new season or holiday in my kitchen. 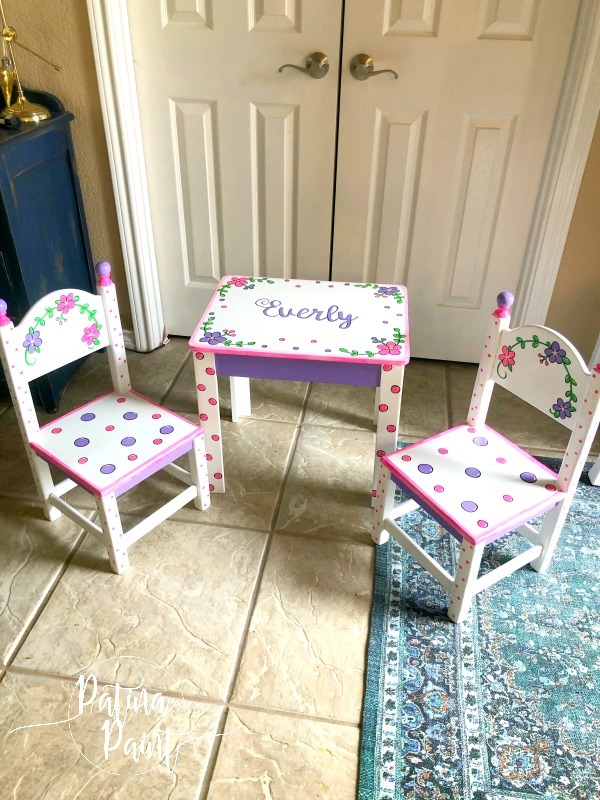 It’s almost always with my table or hutch. 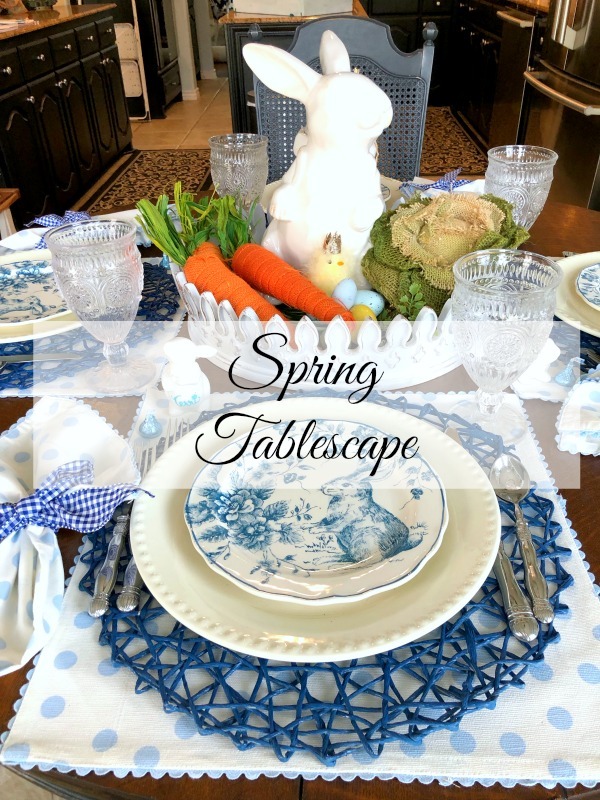 This time I went with a Spring tablescape as my first project. 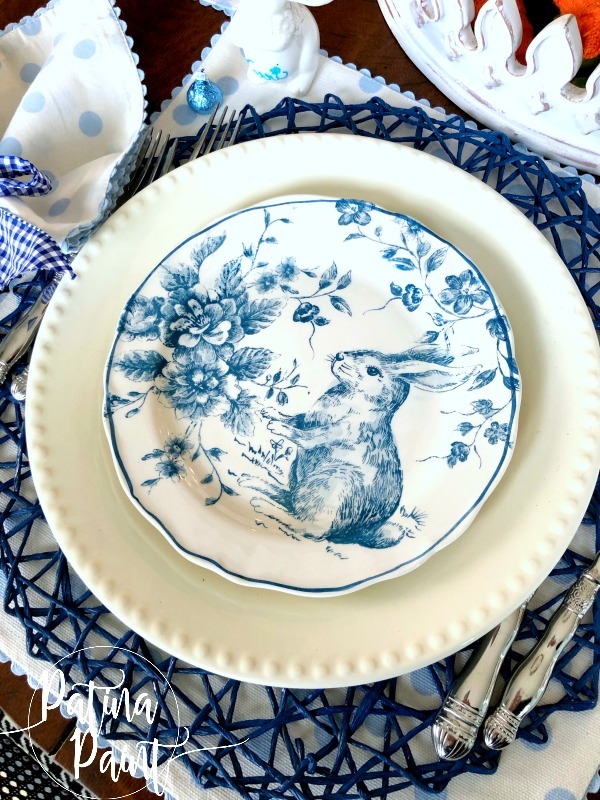 I’ve had these bunny plates for several years now, but haven’t used them as much as I would have liked. For some reason, I was determined to use them this year. Normally, I would start with a place mat and then add a charger. However, this time I used two placemats instead of a charger. 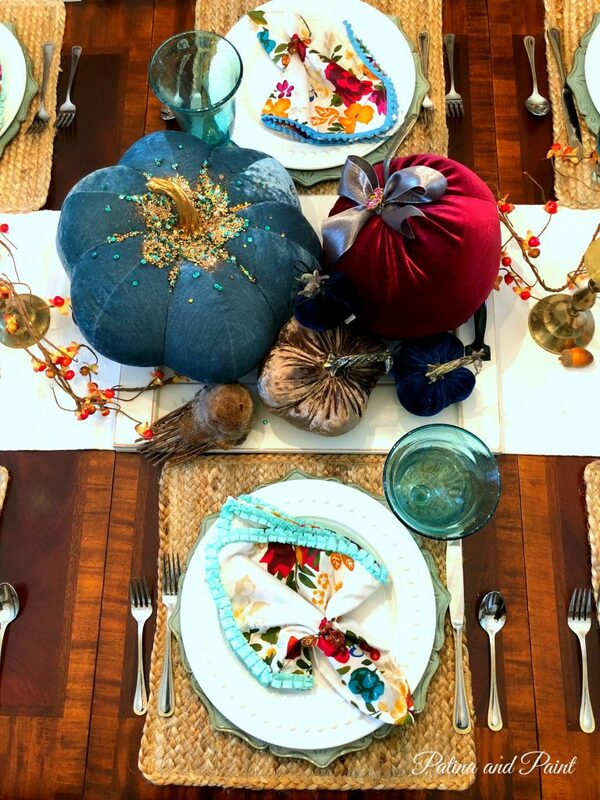 I love how the navy “string” placemat adds some much needed texture to the place setting. 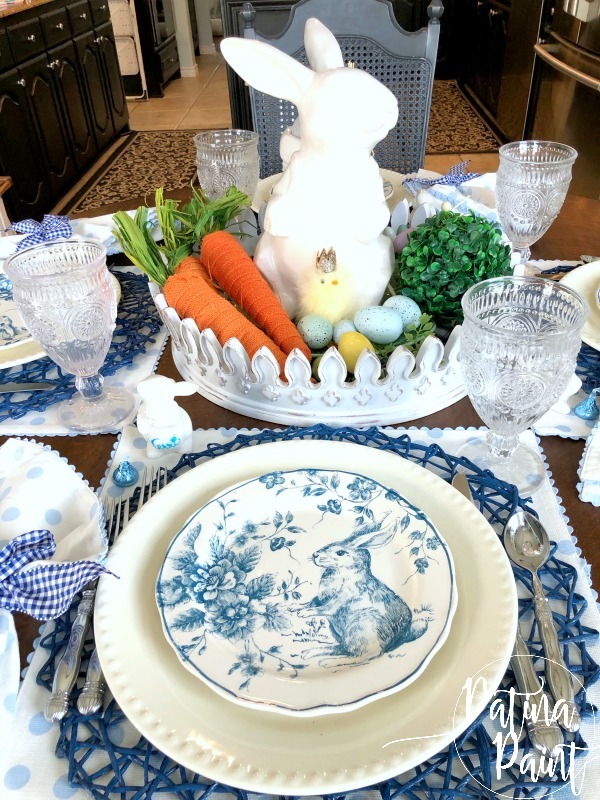 Next, I added my white hob nail plates, followed by the blue and white bunny plates. 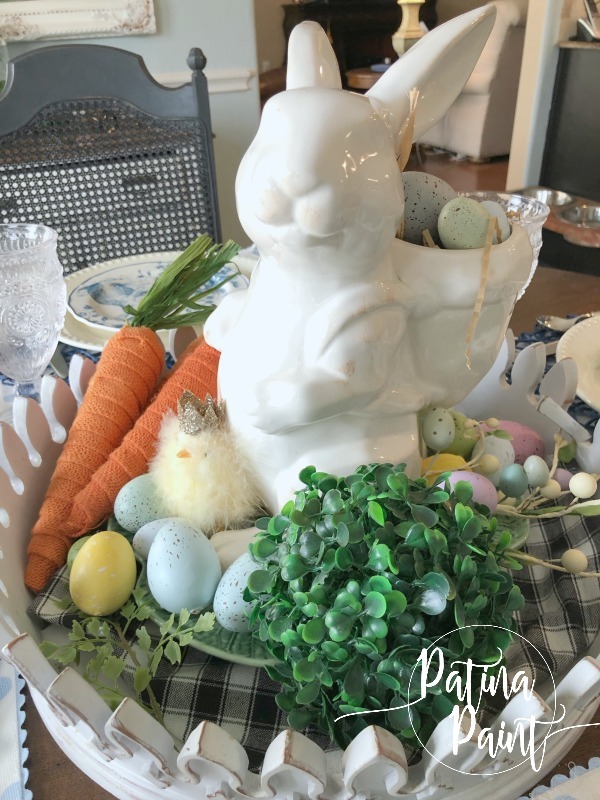 Everything you see here, with the exception of the bunny, silverware, and glassware all came from Home Goods over the past few years. The silverware is from Southern Living at Home and the glassware is from The Pioneer Woman collection at Walmart. I had several different napkin rings in mind, but in the end went with a simple blue and white check ribbon. 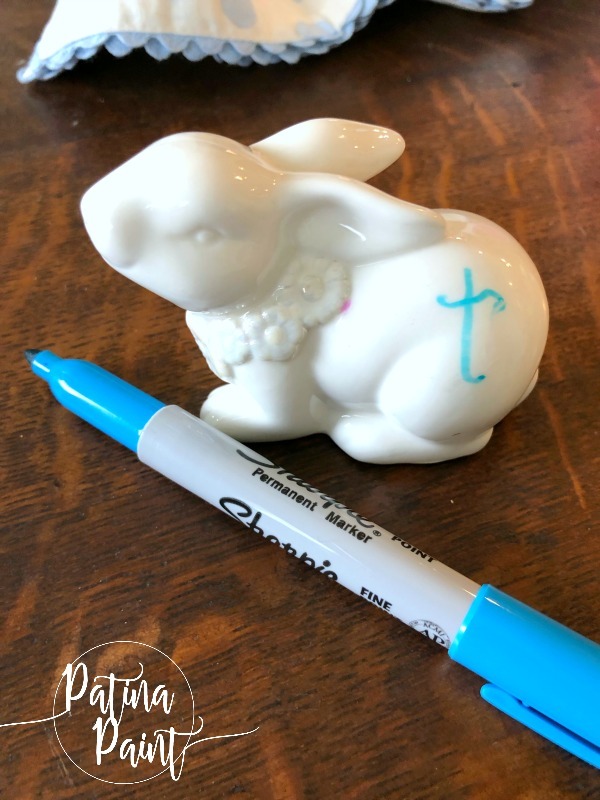 I used simple white bunnies that I found at Walmart and drew on the name with a sharpie for my place card. 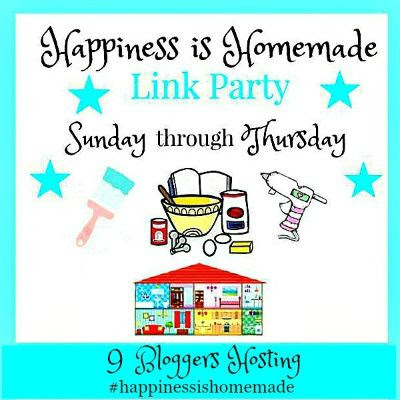 This is super easy to do! If you mess up, no worries. I may have shared this tip before, but it is worth a repeat share again. Simply take a paper towel and some nail polish remover and wipe off the sharpie. 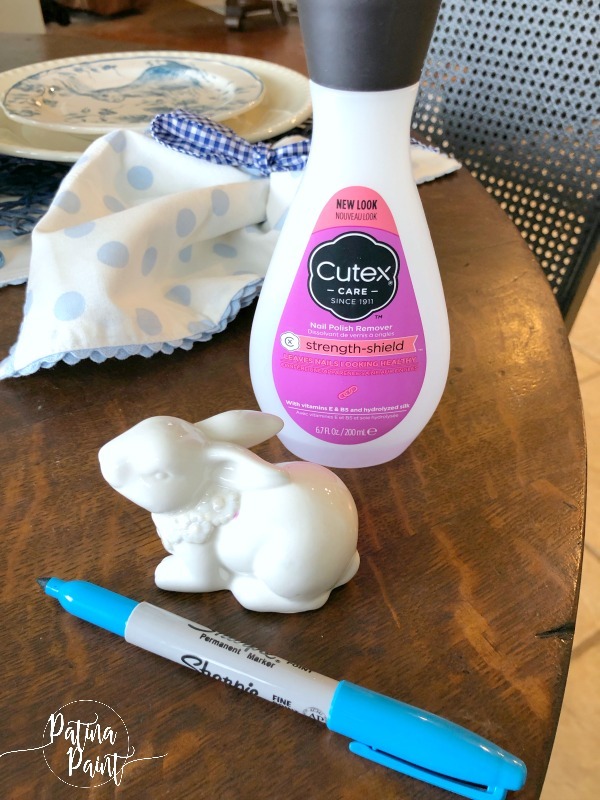 Super easy and doesn’t harm the ceramic finish on the rabbit. Note: you may want to test this on the underside of your ceramic piece just to make sure your piece is safe to write on and is safe to use the remover! My centerpiece has been pretty much the same the past few years. Mainly, because I love this bunny so much. He’s my favorite! 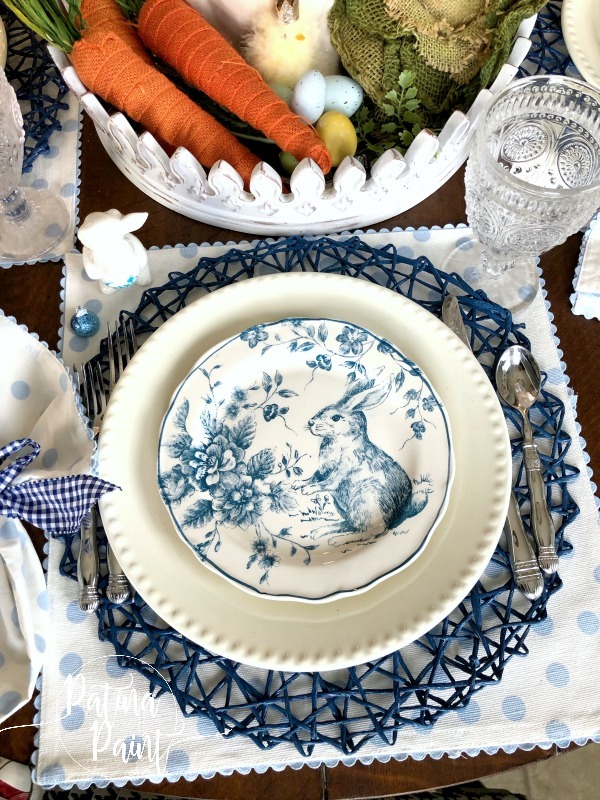 I think that this is one of my most favorite Spring tablescapes ever. Mainly, because everything I used I had on hand. Which is really rare for me! I was determined that this year I would be a little more thrifty and be a lot more responsible in my purchases. Sometimes, adulting is so hard! Tammy, that’s adorable! I love blue & white (even though I don’t have any, believe it or not! ), and the combination of the two placemats is really eye-catching! 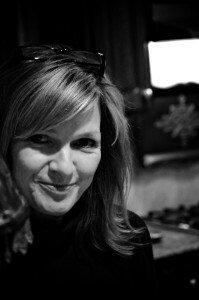 I am still in packing mode, but getting really anxious to be in the new place and settled. Soon…..it won’t be as long as it has been, let’s put it that way. Rita I’m kind of shocked you don’t have blue and white – you always have such a variety of stuff. I can’t wait to see your new place once you are settled. Good luck my friend! 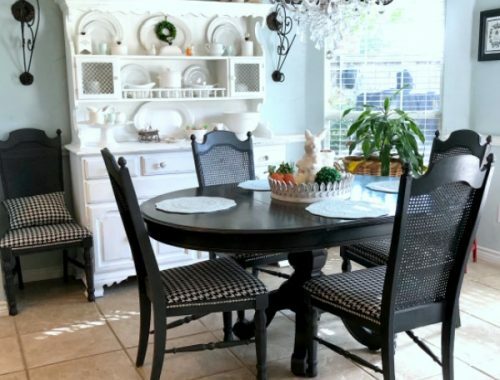 Tammy, I love your Easter tablescape! It is so pretty with the white and blue. I also love the centerpiece. 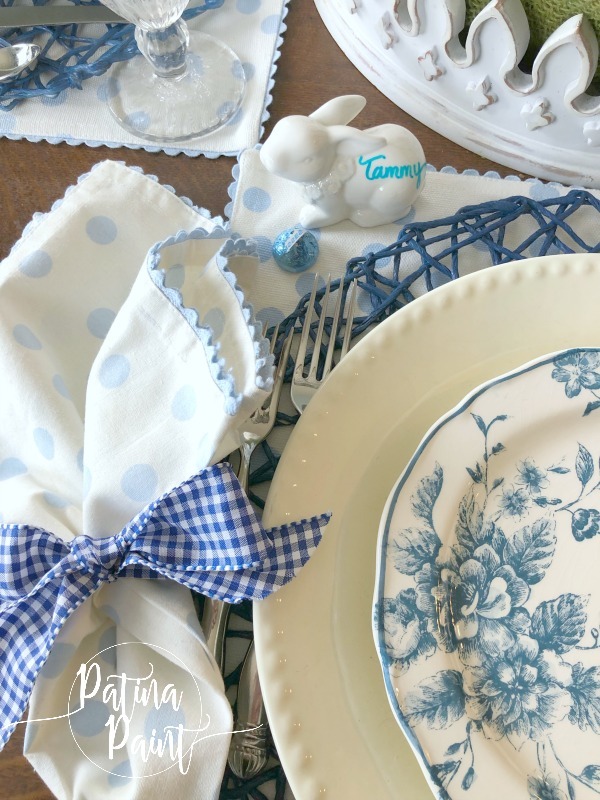 Those string placemats give the table some texture and also help to break up the different shades of blue…just gorgeous! Hugs sweet friend! Benita you alway write the sweetest things! Thank you friend!! !